Giveaway! 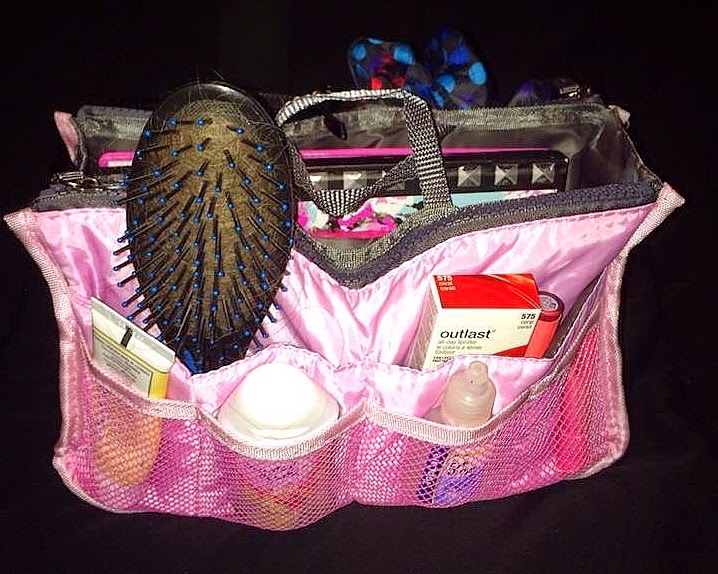 A Purse Organizer That Will Change Your Life! If you open my purse on any given day, it's a black hole filled with everything imaginable. 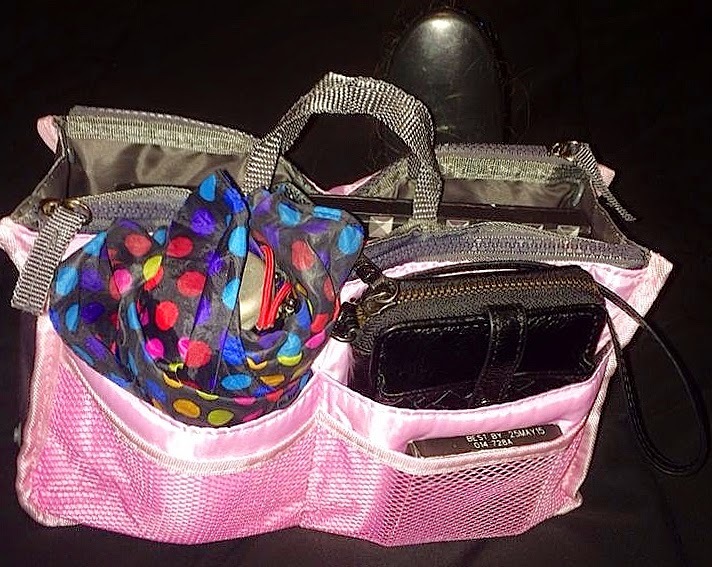 No matter how large or small my current purse is, I guarantee you, I will fill it to the brim! Obviously, this makes it IMPOSSIBLE to find ANYTHING! It's so frustrating but a lot of times, I really do need the stuff that's in there! So for a long time I've been wanting some type of purse organizer. I've heard of them before but have never actually seen a really great and practical one. 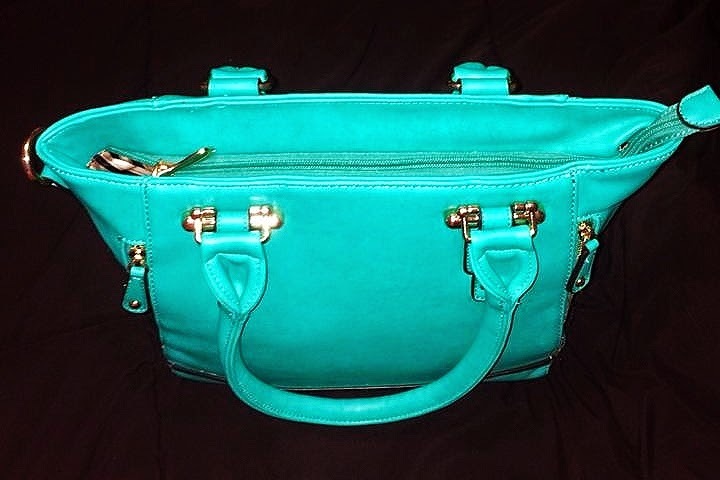 So when I came across a purse organizer giveaway on Accessories Galore plus More's Facebook page, I immediately entered. And guess what! I WON!! I was so excited and I told them that I was going to write a review on my blog, and they were nice enough to send me ANOTHER one to use as a giveaway! How awesome is that?! What's even better is that this thing works AMAZINGLY. You would never guess that something so small and simple could be so darn useful! It's a great size, so light weight and holds SO.MUCH.STUFFFFF!! 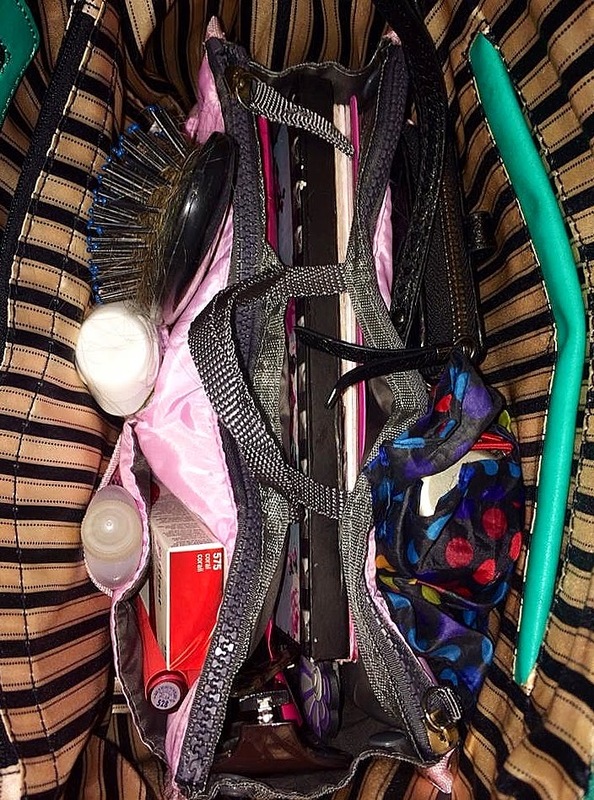 I was able to condense my whole purse into this one organizer. My notebook, planner, sunglasses, makeup, phone cords, feminine products, my wallet and more! There are multiple pockets of all different sizes and even a couple of larger pockets that zip up. It's fits perfectly in my purse! By the way, how cute is this new summer bag that I got at Wilson's Leather?! 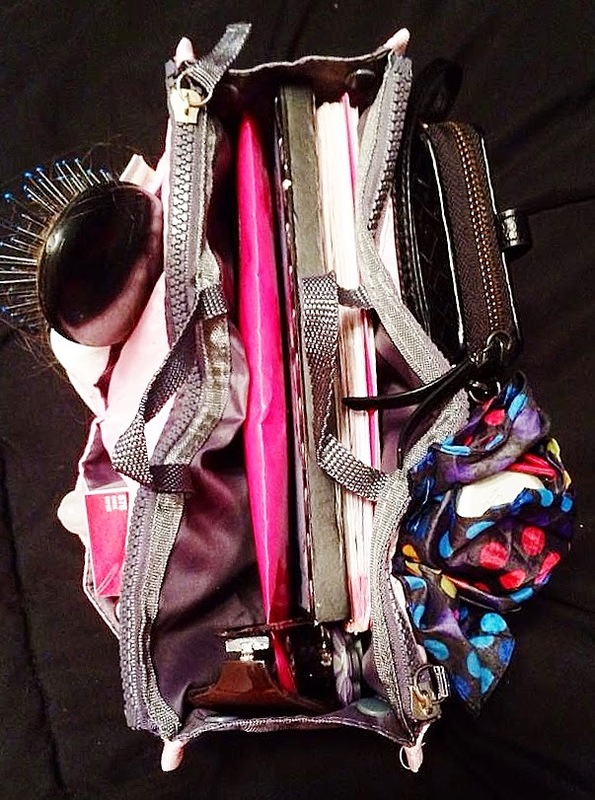 This organizer has made finding things in my purse incredibly easier. 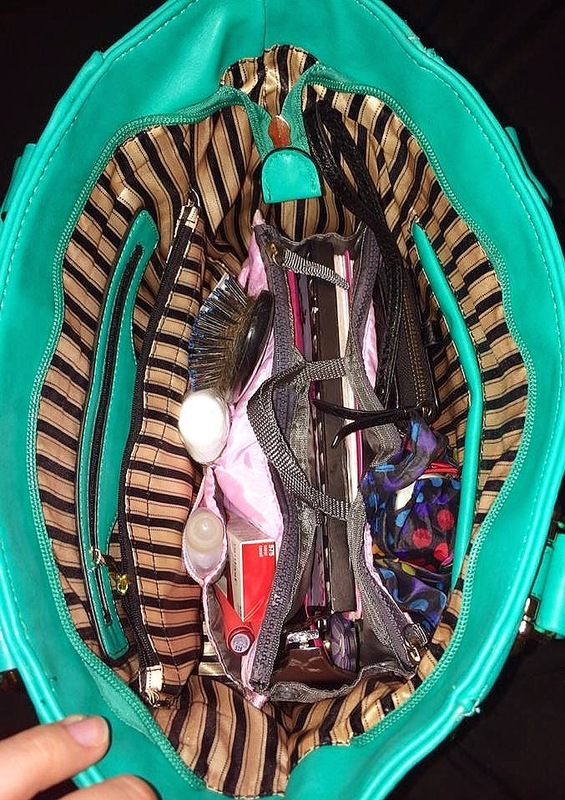 Oh, and don't forget another perk- when you switch purses, all you have to do is pull out the organizer and place it in the new bag. This makes such a difference! I rarely switch purses because of the hassle. But now, it literally takes 30 seconds and I'm out the door. I really can't speak enough about this product. I've had it for about a week and it's just made this little part of my life easier. And isn't that what this blog is all about?! Making the small things easier so that you can focus on the larger things! Heck yes! So enter below to win your very own light pink Purse Organizer from Accessories Galore Plus More! Didn't win? Well don't worry! They are only $14.99 + free shipping on the Accessories Galore Plus More website. They come in all different colors too. YAY! It's so exciting to find a new product that's practical and affordable! *I am in no way affiliated with Accessories Galore Plus More. I was sent an extra organizer solely for giveaway purposes. All opinions expressed and photos are my own.